Chinese New Year outfits can be both modern and traditional. We have a wide range of collection in line for you to welcome the new prosperous year. We bring in traditional designs such as Chinese cheongsam with a modern tweak. Deck out in your lucky colours to welcome the auspicious new year. Cheongsam, widely known as qipao. Is a tightly fitted dress that has originated in the 1920s in Shanghai. It has quickly become a fashion phenomenon that was adopted in films. This iconic garment symbolizes the rise of a modern Chinese woman in the twentieth century. As back in the past man wore garments such as the Changpao in Shanghai. The qipao represents the rise of an educated woman and also gender equality. However, by the end of the 1960s, the popularity of the cheongsam trend was in decline. Western affluence brought in cheaper and mass-produced western clothes such as t-shirts, blouses and suits. However, the classy and delicate handmade cheongsam remains a significant garment in the history of Chinese. Therefore wore by many Chinese on Chinese New Year. We put in something special to every piece of fashion. 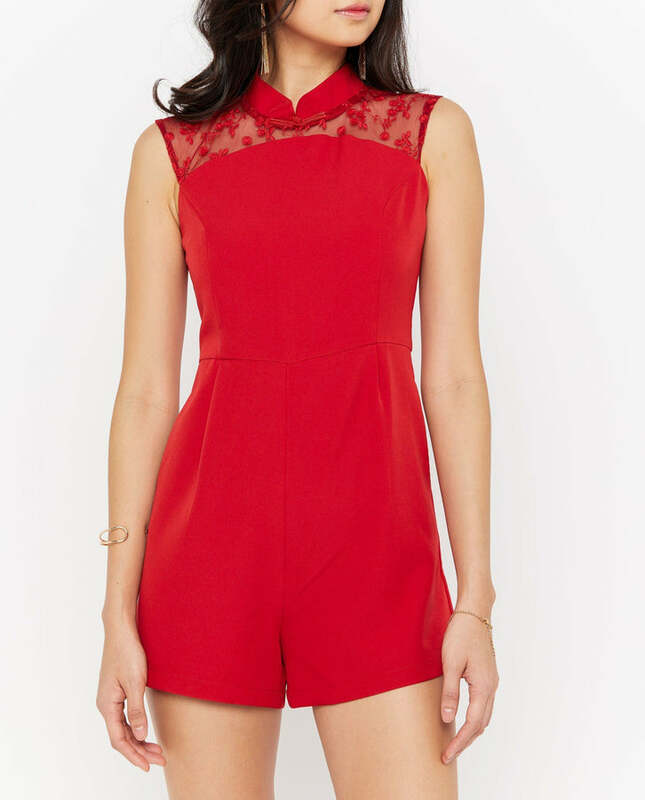 Be it traditional cheongsam or even red and auspicious Chinese new year outfits. Take for example a traditional cheongsam can be integrated into the latest modern day to day romper design. We also have cheongsam inspired designs on tops instead to the traditional long dress style. Go back to back with our oriental traditional origins with a hint of style. OSMOSE works hard and prides ourselves in providing special and unique pieces for all our customers. Therefore most pieces are not available for re-order or reproduction. The designs we sell are simply limited! Grab your favourite outfits now.